Malaysia was once considered one of the Tiger Economies. It was found performing well for decades until the country is shaken by corruption. 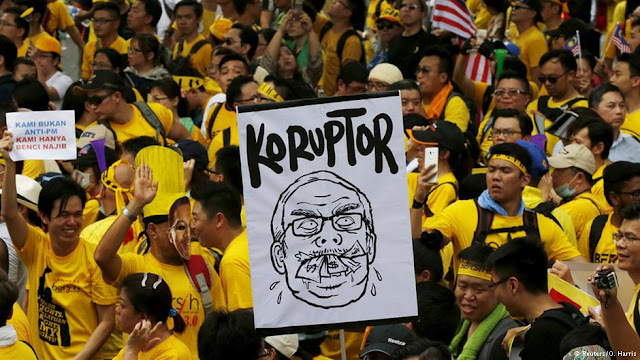 This weekend, Malaysia saw huge crowds protesting against its Prime Minister Najib Razak calling for his resignation over his alleged involvement in over $1 billion from the state investment fund 1MBD. Thousands of anti-government Malaysians took to the streets in Malaysia's capital Kuala Lumpur on Saturday. Former Prime Minister Mahatir Mohamed too demanded PM Najib Razak's resignation. On the other hand, PM Najib Razak keep denying any wrongdoing and initiated a crackdown on the protesters.